PokerHost.com is rumored to be next skin to leave the troubled Merge Gaming Network, according to a report posted on ProRB. On Wednesday, ProfessionalRakeBack.com proclaimed that the popular Merge skin PokerHost would be abandoning ties with the network in favor of a new alignment with the non-profit poker organization, Equity Poker Network (EPN). According to ProRB’s claims, the move is poised to happen within the next two weeks. Since leaving the Cake Network to join forces with the Merge in 2010, PokerHost.com and its parent network have had their fair share of issues. In mid-2012 Merge would restructure its management team, bringing in a new CEO and several new members of upper management. The new team’s first order of business was to delineate itself from its perceived “bad” skins, such as Lock Poker. Looking back that appeared to be a smart move, as Lock has arguably become the most reviled US-facing site currently in operation. Merge would then switch over to a new cashiering system, entitled Jazette. Skins that were still harnessing the old Merge Cashier, such as Black Chip Poker and Hero Poker, eventually stopped operating on the network. Other networks, backed by casinos or sportsbooks, were systematically removed one by one, until only one remained – PokerHost.com. The skin’s independent cashier outperformed Jazette in several key areas. For one, it processes cash-out requests in less time than Jazette. And secondly, PokerHost was able to offer its services to customers in several US and ROW locations that Jazette could not. The aforementioned strengths of PokerHost’s cashiering schema are the primary reasons why it ranks so highly on most cash-out reports, ProRB’s included. Merge would eventually seek subtle, then less subtle ways, or eradicating PokerHost from the network. Most notably, PokerHost was excluded from participating in several prestigious MTT events on Carbon. More recently, Merge rolled out a new MTT schedule for its Aced and Carbon brands. Once again, the third skin on the Merge network was excluded. Thus, despite no actual confirmation that PokerHost is committed to leaving Merge, its reported plan comes as little surprise. According to ProRB, players who wish to remain on PokerHost.com shouldn’t have to do much at all. 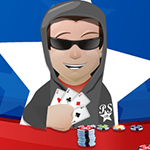 PokerHost will still be in charge of player funds, and the same cashiering options available now will still be offered once the move to EPN is complete. As far as VIP Rewards points, no information is known about the new system. 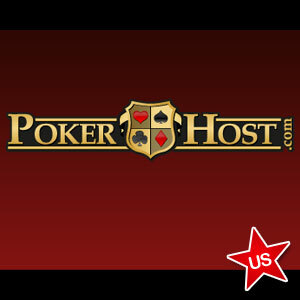 However, PokerHost plans on converting player points to an equivalent system. In other words, players shouldn’t get shafted. Compare this to other former Merge poker skins, which forced players to either spend or abandon their hard-earned points prior to either moving or being ousted entirely. EPN features a policy unique to the network in that players are only allowed to have an account with one of its skins. Specifics of how EPN’s policy will affect PokerHost.com players who already play on another EPN skin are currently unknown, although sources indicate that the transition will be seamless. For players looking to circumvent EPN’s policies in order to play on multiple EPN, it is suggested that they create an account on PokerHost as soon as possible, while it is still part of Merge. EPN is a relative newcomer to the online gaming scene. Due to its aggressive marketing stance and seemingly ethical policies, it has quickly grown to become the seventh biggest US-facing poker network in the world. In recently surpassing the Revolution Network, Equity is poised to become a major player in the iGaming industry, with aspirations of hurdling past the much maligned Chico and Merge in the coming months. FullFlush Poker is the biggest poker room on EPN. If the rumors are true, players on PokerHost should expect a more varied MTT schedule and equivalent cash-game traffic. Payment processing times should remain approximately the same. As for Merge, it is expected to lose approximately 10 to 20 percent of its client base. This is in addition to the myriad of players it lost when it decided to pull out of New Jersey and Nevada. The good news is that its tournaments will likely feature staggering overlays, creating incredible value for grinders, as Carbon and Aced Poker will be the only remaining skins on the stumbling network. Stay tuned for more details as they arise by following us on Facebook.